We travel to our friends’ house today in the afternoon and evening to celebrate the Baptism of their son and my new godson. That’s right. I became a godfather of a child in Russia! Another reason to keep coming back: heavenly family added to my earthly family here. We arrive early morning (5:30am) by overnight train and take a bus to Divyevo. 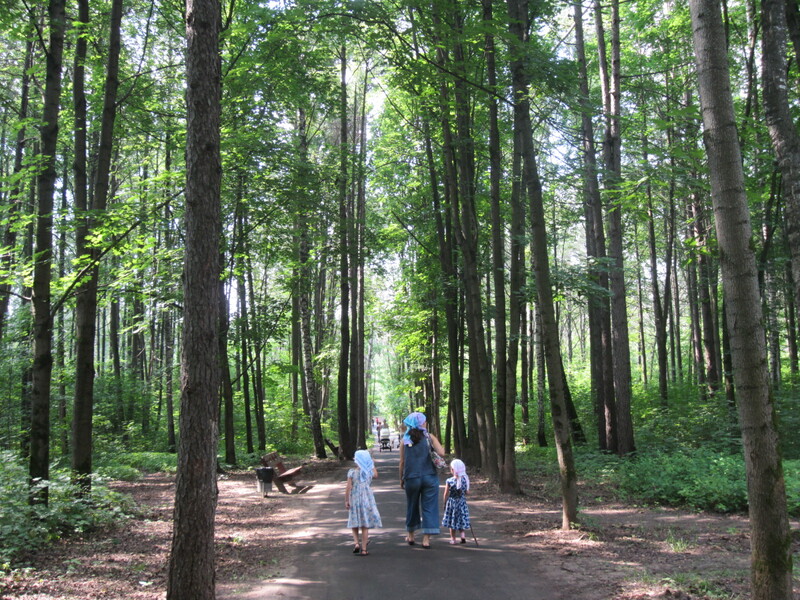 On the way, we take a triple dip in one of the four holy springs surrounding St. Seraphim’s village of Divyevo. When we check in at our hotel at 8am, it feels already like the day has been spent. 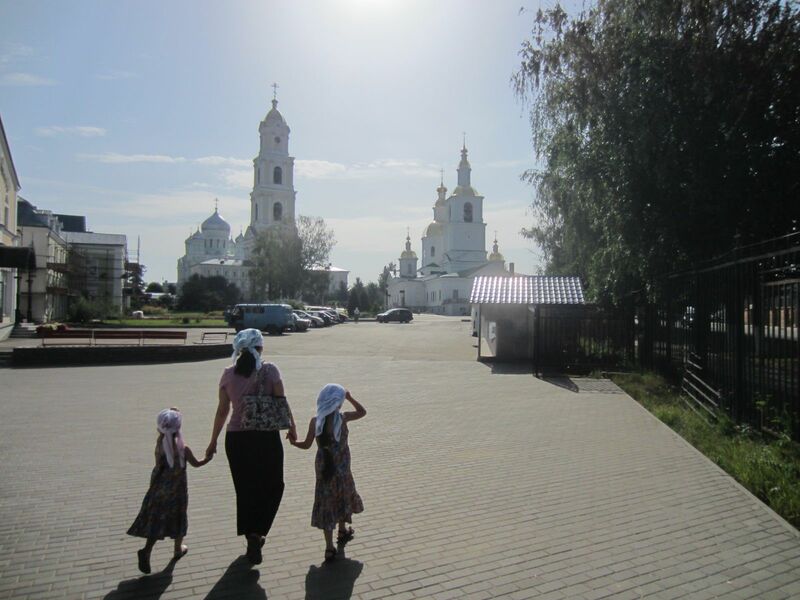 Traveling as pilgrims with two young girls is a bit of an experiment for us. The hotel we are staying at for the next couple of nights is comfortable enough, but we travel all in one suitcase without the usual toys and games. One whole bag is dedicated to food and provisions for tea, as you never know on pilgrimage where and when to eat the next meal. So far our little pilgrims are doing well with an afternoon nap that we finally talked them into. 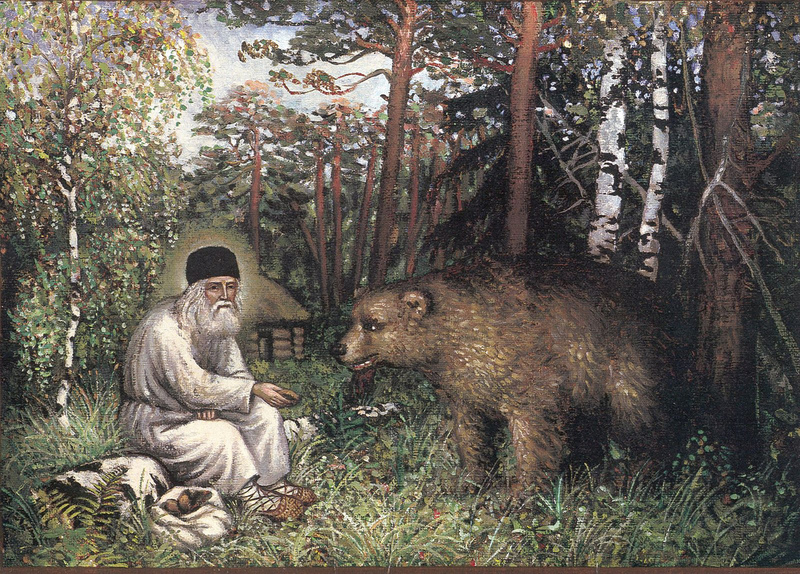 Almost finished with the St. Seraphim life, but I have not really been here long enough for a strong impression to form. 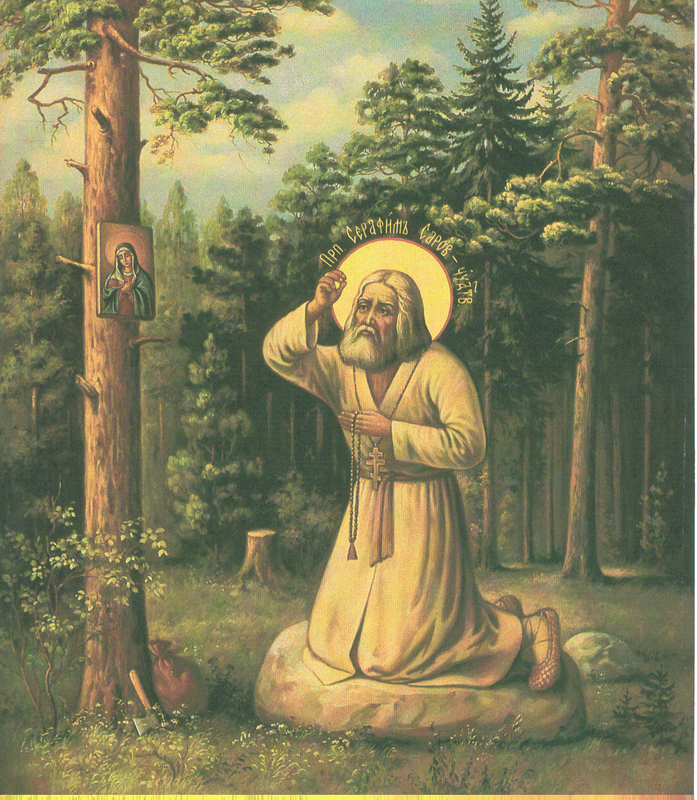 We heard one general introduction to the monastery and its life, how St. Seraphim was invited by the Abbess Alexandra to be their father confessor and protector. Also, there is lots of talk about how Divyevo was chosen as the 4th place on earth especially dear to the Mother of God, the Virgin Mary (the other three are Iberia (Georgia), Mount Athos, and Kiev). It makes me wonder why Jerusalem was not included, but perhaps it is because the Holy Land is a given, in a category all its own. Still, it seems significant that two of the four places are in Mother Rus (Ukraine was originally part of the ancient kingdom). Questions still linger for me about why she chose Divyevo and why St. Seraphim is so special especially for Russians. I have my ideas, but we will see how the pilgrimage unfolds.